I mean, who doesn't love sleeping? It's the only time we'll be having a total rest from the day and the only time to escape this fragile self of us from reality. Nevertheless, I'm not going to talk about sleep. 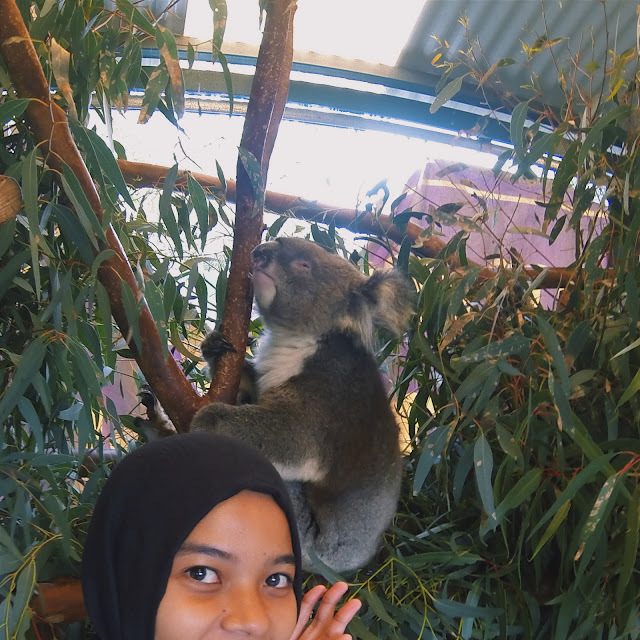 It's just that, I have finally touched a koala. 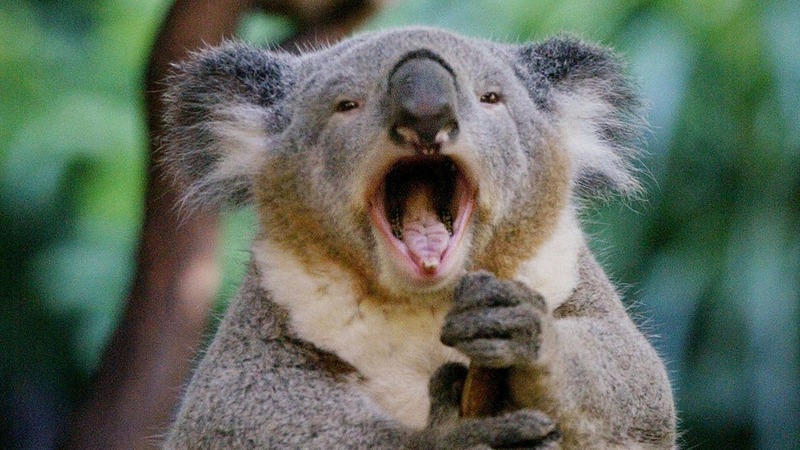 No, not koala the bear. 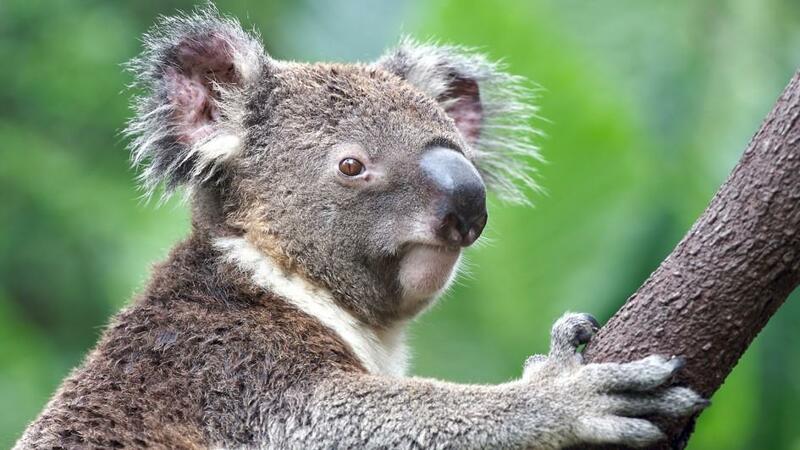 It's the real koala! Today's stop is Caversham Wildlife Park. We went there on our own by train and bus. If you don't want the hassle, there's always tour with extra bucks haha. From Perth Station, head to Midland line at platform 8 and hop off at Bassendean station. The ticket is still $4.50 as it's in Zone 2. We hopped on a bus after that as the ticket was still valid. And funny thing was; I accidentally DOZED OFF on the bus like....? As the bus kept moving and moving and passing....my dad woke me asking where to get off and lol we already passed the park. My dad saw the park eventually but he didn't know that was it. I cursed myself for sleeping lel so I went to the driver asking him where to get off and unfortunately, the bus wasn't going there. WE'RE SCREWED. Obviously we had to get down. Imagine you're left somewhere in the middle of housing area in foreign land and there wasn't any people where you can ask. We continued walking in hopes to find bus stop or people. Strangely, we did find one. Told the bus driver we're heading to Caversham, he said he would call me when my stop is ready. I mean how is Australian so nice?! But, we still had to pay because it's out zone 2 huhuhu. It was $1.60/person. siblings fighting over where to take their brother/sister? 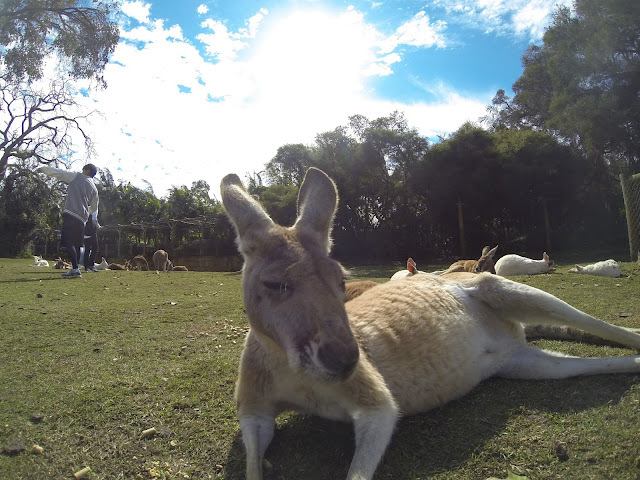 Sadly enough, in western Australia you can't cuddle them for pictures. I was mad lol because I've seen people who went to Australia and they get to cuddle them. Obviously, they went to another part which is not western part ha. ANYHOW, there's actually a place called Cohunu Koala Park and it happens to be Western Australia's only wildlife park that allows you to CUDDLE with the koalas for pictures! The entrance fee is only $15 (cheaper than Caversham ahah) and for cuddle picture is $30/person HAHA. Maybe you can get for free in Sydney? or Melbourne? and of course in Adelaide called Gorge Wildlife Park where you can enter for $17 and no extra charge for cuddling koala. You may also take as many photo as you want. I mean why would you waste $30 when you can get them for free. With that $30 you can do so much yknow. In all seriousness, if you happen to visit Perth, Caversham is worth it. 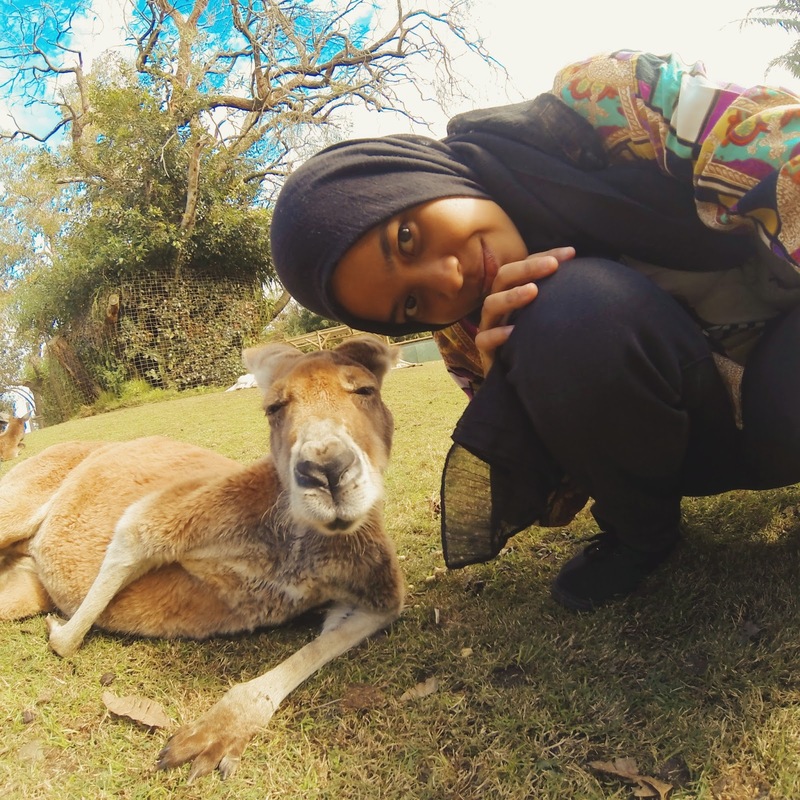 You still get to take photo with them koalas too and it offers such shows! You won't regret it. Worth every single penny. Our picture with the wombat is quite off so I decided not to post here. And so we're ready to leave. I had fun with the animals. Especially, the koala and kangaroo. I mean, what's a trip to Australia without these two ain't it? Once we finished, we went into its gift shop and dadsie scored a boomerang whilst me; a forken good quality tote bag. Then we waited for the shuttle bus as we didn't wanna walk anymore. We did tons already what do you expect. We had to cross the road to get to the bus stop before going back to Bassendean station. Another $4.50 was paid. $9 for two. Again, valid for both bus and train within 2 hours. When we arrived Perth, we were already so flat with the walking and fun we had with the animals so we decided to just move to our new hostel. Check out what I found along the way. andddd I'm finally finished with this entry which felt like 10 years. That's the basic expenses of the day. and not to make any mistake or getting lost, be sure to hop on bus number 955 or 956 from the Bassendean station. 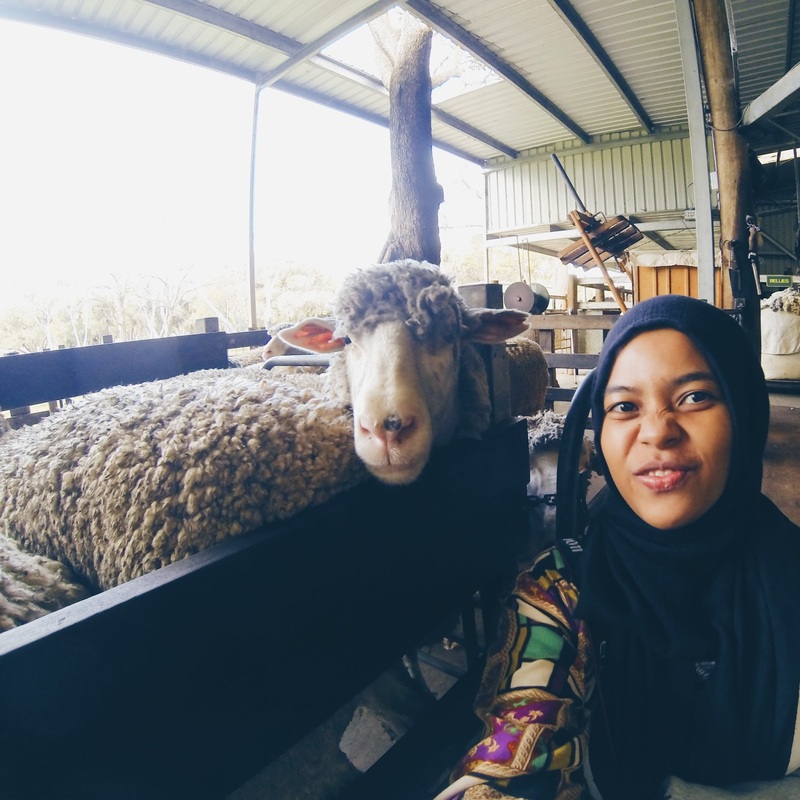 College Escape : Tadom Hill Resorts, Banting.